In the majority of fires, a reliable and dependable fire extinguisher is often your first line of defense. A malfunctioning fire extinguisher can turn a bad situation into a catastrophic situation with a huge loss of property or worse. At the same time, a properly maintained, quality fire extinguisher is a dependable, first line of defense for any fire in your establishment. 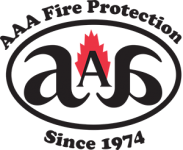 AAA Fire Protection Services is a state-licensed, portable fire extinguisher service company. Our expert certified technicians will come to your location to perform the required annual service for all of your portable fire extinguishers and to make sure your fire extinguishers are in proper working order. AAA Fire Protection Services is an authorized distributor of all the major brands of portable, professional-grade fire extinguishers, including Ansul, Kidde, Buckeye and Amerex. In addition, also we provide all types of fire extinguisher cabinets. Did you know there are different kinds of fire extinguishers for different purposes? 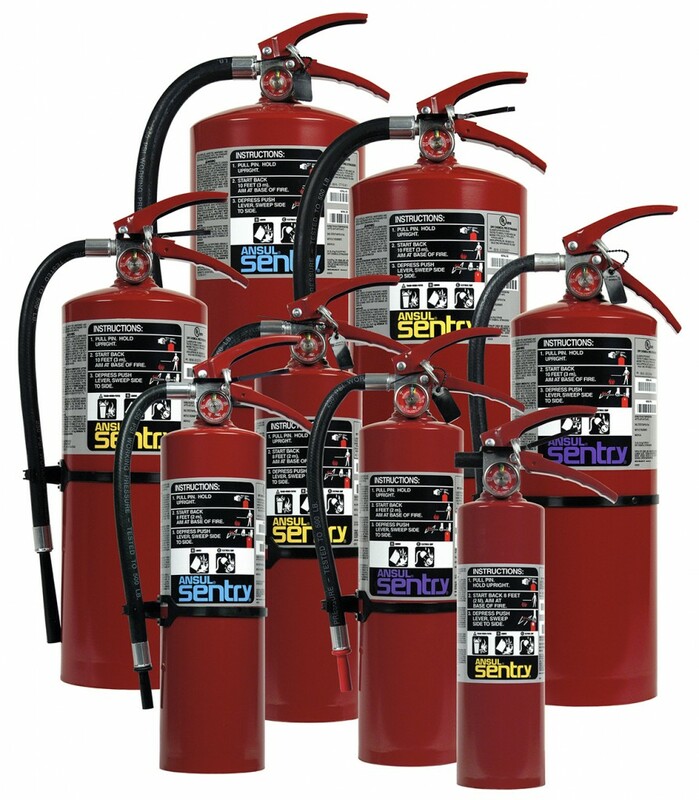 For Ordinary Fire-Hazard Areas, we equip you with the proper general type and proper size fire extinguishers and fire extinguisher cabinets to handle normal fire emergencies. For Cooking Areas, we provide the required Ansul K-Guard Fire Extinguisher. The Ansul K-Guard Extinguisher uses Ansulex, a liquid fire suppressant, to combat flames and decrease the temperature of grease on cooking surfaces and in the hood and duct areas. For Specialty Areas, AAA Fire Protection Services also distributes the Ansul Cleanguard Extinguisher which uses a DuPont FE-36 extinguishing agent. This agent is clean, electrically non-conductive, eco-friendly and very low in toxicity.